Snorkel Mexican Caribbean reefs with our dive shop. Get to know our fish and coral. 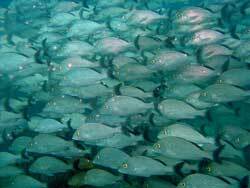 We will take you snorkeling for 3 hours on two magnificent reefs where the views match what scuba divers see. Snorkeling tours depart daily from the dive shop at 1:00pm. Depending on the groups there are also afternoon departures. Some of the reefs that we visit include Mokche, Chuzunbul, Punta Maroma, and Inha, depending on weather conditions, and number of people. All reefs have a maximum depth of 15 feet (5 meters). Snorkeling Trips don't need to go into the ocean they can be inland. 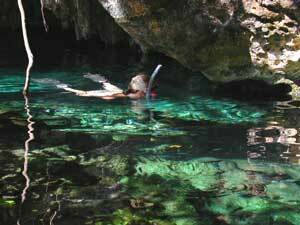 Go and visit some of the most beautiful snorkeling site in Mexico. These are the Cenotes, go into the entrance of the Caves and see all the stalagmites and stalactites in the way that they were intended to be seen in its pure and natural way.